Honestly, the Lalaloopsy characters sort of weird me out with their creepy button eyes.... But my kids like them, and don't even have nightmares about it. 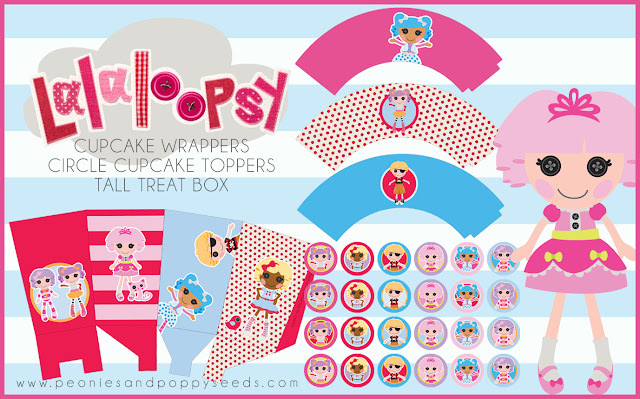 If your kids like them too, check out our free Lalaloopsy printables! There is a treat box, cupcake wrappers, and circle cupcake toppers.